The countdown is on, as we’re now just about two weeks away from the premiere of Avengers: Endgame. And the stakes couldn’t be higher, as the team prepares to do “whatever it takes” to stop Thanos’ devastation. 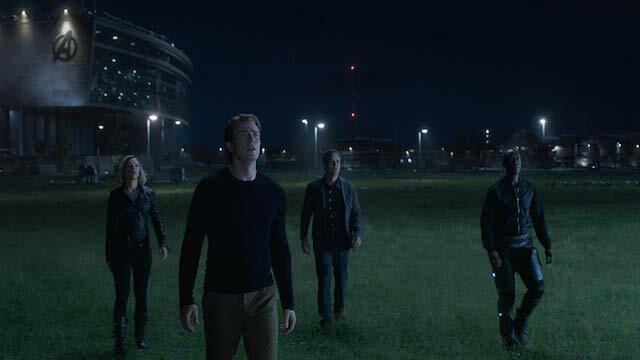 A new Endgame promo trailer released by Marvel Entertainment gives us an idea of just what they have in mind. The trailer follows a clip that came out earlier this week, featuring the remaining Avengers putting together a plan to reclaim the Infinity Stones. Seen below, the trailer features snippets previously revealed in other trailers, like Iron Man flying over New York and War Machine and Ant-Man gearing up for battle. But there’s some new footage as well, with the heroes wearing those white suits as Captain America gives them a speech. They seem rather impressed by it, with glances of confidence from Black Widow and Tony Stark. Even Rocket Raccoon, the Guardian of the Galaxy who’s not exactly keen on human beings, likes what he has to say. Ant-Man is quick to agree with him, too. There’s not too much here that crosses over into spoiler territory. However, Cap does make note of “teams” and “missions.” This indicates that his plan may involve a “divide and conquer” strategy. That might explain why Captain Marvel isn’t with the rest of the team, though she does appear with Thor. With the story still tightly under wraps, it’s too soon to predict just what Steve Rogers has in mind. The trailer has some strong social media buzz going already, with some fans making note of the Rocket Raccoon/Ant-Man interaction. Who knows, they just might become the best of buddies. You can see a couple of those responses below. Avengers: Endgame releases on April 26. After watching this, what do you think Cap and the team have in mind? Let us know in the comments below!